WOW! 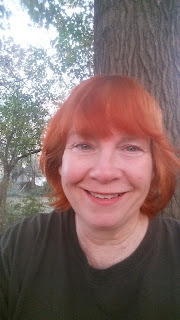 Women On Writing Blog: Five Writing Things I've Learned From "How to Get Away With Murder"
Five Writing Things I've Learned From "How to Get Away With Murder"
I admit it. 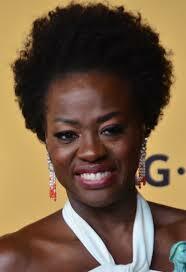 I'm ga-ga for Viola Davis. Her facial muscles, her voice, her physical gestures... they're all instruments she plays, with the same talent that Itzhak Perlman plays his violin. Lesson #1: Don't give up. I have been trying to get in contact with a man in Washington, D.C. for months. He has an important document, a first-person account of the event my current WIP focuses on. I've left phone messages until his voicemail box filled up. I've emailed him. I even tried to bribe him by sending him what I planned on writing in my forward about him. Nothing. This week, I called again, figuring it'd be in vain. Again, as it has been futile so many times over the months. I almost doused my pantyliner when he actually answered. We spoke, he suggested some books, and perhaps I might get access to the document. Perhaps not, but at least it got me hopeful and energized again about the manuscript. Lesson #2: It's all in the details. Lesson #3: It's (also) all about the heart. What a character wants--deep down--is crucial. If a writer doesn't know what their main characters desire at their inner core level, their plot will flounder. On Viola Davis' show, the lawyers peel off their exteriors like an onion getting peeled. Over the seasons, more and more of their interior is revealed. Lesson #4: Include some twists. How to Get Away With Murder is all twists and turns. If you run into the kitchen, you might miss an OMG moment. Make sure your plot isn't plodding at a boring pace. Surprise the reader with some well-crafted and well-placed twists--the reader will thank you for it. Lesson #5: End at the edge of a cliff. I've heard famous authors say they end their writing day in the middle of a scene... that way, when they begin writing the next day, they won't have to prime the pump. Instead, they can jump right in. How to Get Away With Murder screeches to a stop, teetering on the edge, at the end of every episode. And now--very soon--I will be getting back to my WIP... 'cause one phone call made all the difference between hope and despondency. What about you? What television or movie characters fascinate you? Sioux Roslawski was in awe over high school chemistry teacher Walter White in Breaking Bad, mourns the lost days of Josiah Bartlet as president, Allison Janney as White House press secretary and Aaron Sorkin as speechwriter (The West Wing), wishes all doctors were like most of the ones on St. Elsewhere, and loved the cops on Hill Street Blues. When not falling asleep in front of a television, she's teaching incredibly talented middle-schoolers or rescuing dogs for Love a Golden Rescue. To read more of her mumbled meanderings, go to her blog. Twists are great. I love it when a twist makes me say, "WHAT?" When I never see it coming. As long as one of those five things you learned wasn't actually how to get away with murder...I think we're ahead. I loved St. Elsewhere! Except for the series finale, though I admit it WAS a pretty big twist. Margo--I WAS excited and I DID see her speech. (It brought a little moisture to my eyes.) And the numbered bits on the post--that's all because of you, Margo. Val--Yes, I like those blindsiding twists, too. And since I can't even recall the St. Elsewhere finale, I guess I'm going to have to look it up. As usual, your steeljaw trap of a memory is better than mine. Oh, her speech was awesome! My go-to character is Reddington played by James Spader. It is amazing to me that the Blacklist can take an absolutely monster of a man and make us sympathetic toward him. That's pretty incredible writing AND acting, on the Blacklist. Cathy: I don't know if you watch House of Cards, but the main character, played by Kevin Spacey, is also horrible, but I like him and feel sorry for him all the time. That is incredible writing and acting--you are right. Cathy--I love "The Blacklist" too. Margo--You keep nudging people to watch "House of Cards," and I keep putting it off, even though I love Kevin Spacey. I guess I need to schedule a binge-watching session? OK, I'm going to have to check this out. I haven't seen this at all so will have to catch up over spring break! Thanks for your insightful post.